Some of the most difficult decisions for patients, their families and their providers involve end-of-life care, especially the decision to forego aggressive medical treatment and focus on palliative care. Patients with complex and multiple chronic conditions typically have many healthcare providers and specialists so it can be time consuming to obtain a complete medical history. Having a single source for patient information through Health Current simplifies the process tremendously for Arizona Palliative Home Care (AZPHC). 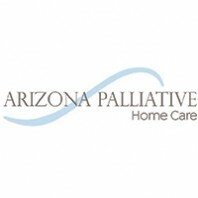 AZPHC is a program of not-for-profit Hospice of the Valley, Arizona’s first and largest hospice provider. With referrals coming from insurance and healthcare providers, AZPHC serves terminally ill patients, patients with serious chronic disease and frail elderly patients, and helps bridge the transition from aggressive medical care to hospice care. With an authorization typically for 90 days, the team gathers information and coordinates with every provider to help patients and families assess and understand their situation. Dr. Paramanandam is assisted by two other physicians, seventeen nurses, two nurse practitioners and ten social workers at AZPHC. Patients and families are also served by nursing assistants and volunteers who are shared with Hospice of the Valley. Once a referral is made, the team sets up a consultation with the patient and family to begin home-based palliative care. In addition to using the HIE portal as the single source of patient information, AZPHC also subscribes to Alerts from Health Current for notifications of patients admitted or discharged from the hospital. These Alerts improve operational efficiency and help AZPHC create the best plan of care. The recent case of a man in his 80s with some dementia is an example. With a previous history of penile cancer, he was experiencing increased pain that sent him to the hospital frequently. Paramanandam often talks to patients just to see what they understand about their recent hospital visit. In this case, there were visit notes as well as lab results. “When I logged in [to the provider portal], I saw that there were pathology results showing the cancer had returned, and I called the patient’s urologist to set an appointment. After consulting with the patient and his wife, we determined that the risk of surgery would outweigh the potential benefits,” Dr. Paramanandam said. They were able to move the patient swiftly to hospice care where he could get aggressive pain control. 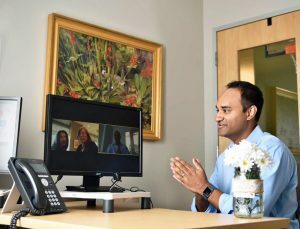 Counseling a patient and family about end-of-life care is never easy, but according to Dr. Paramanandam, getting more complete information from Health Current makes it easier to help.